9/11: Was There Foreknowledge by Officials that the Pentagon would be Attacked? How did he know the Pentagon would be hit next? Even if he had just guessed that the Pentagon would be hit next, how could he have guessed that the outermost E Ring would be the specific target? Of course, if an airplane attack had been aimed at one of the walls, the E Ring would have been struck. But why would he have guessed that the attack would have targeted one of the walls, which are only 80 feet high, when it would have been have been easier for a plane to dive into the Pentagon’s roof, where it might have killed the secretary of defense and some top brass? The FBI agents who arrived so promptly to seize the business videotapes appeared to be operating separately from the traffic-delayed FBI Evidence Recovery Team. The idea of 9/11 foreknowledge is also covered in a Consensus Point about World Trade Center 7, another about insider trading, a third about VP Cheney’s role regarding the Pentagon, a fourth about NYC Mayor Rudy Giuliani, and a fifth Point about the Able Danger data-mining discoveries. This compelling array of evidence suggests that there was foreknowledge of the Pentagon attack by various officials. The strike on the Pentagon (whatever its nature) requires a full, impartial investigation with subpoena power. White House News Release. “President Meets with Muslim Leaders,” September 26, 2001. “Text: Rumsfeld on NBC’s ‘Meet the Press,’ ” September 30, 2001. American Free Press Service, US Department of Defense, Oct. 23rd, 2001. Ari Fleischer Press Briefing, May 16, 2002. “National Security Advisor Holds Press Briefing,” May 16, 2002. “Air Attack on Pentagon Indicates Weaknesses,” by Sylvia Adcock, Brian Donovan and Craig Gordon, Newsday, September 23, 2001. 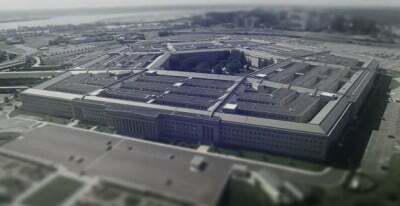 When a statement is made about the Pentagon being “attacked,” it is often assumed that this means that the Pentagon was struck by an airplane. But evidence has not been adequate to establish the nature of the attack. What is known for certain is that there was an attack of some type, resulting in dozens of deaths. Steven Komarow and Tom Squitieri, “NORAD had drills of jets as weapons,” USA Today, April 18, 2004; also: Barbara Starr, “NORAD exercise had jet crashing into building,” CNN Washington Bureau, April 19, 2004. US Army. Military District of Washington, “Contingency planning Pentagon MASCAL exercise simulates scenarios in preparing for emergencies,” November 3, 2000. Matt Mienka, “Pentagon Medics Trained for Strike,” US Medicine, October 1, 2001. Mark Hosenball, “Bush: ‘We’re at War,’ ” Newsweek, September 23, 2001. The 9/11 Commission Report omitted this report. Phillip Matier and Andrew Ross, “Willie Brown got low-key early warning about air travel,” San Francisco Chronicle, September 12, 2001. James Doran, “Rushdie’s air ban,” London Times (Times Online), September 27, 2001. “Secretary Rumsfeld Interview with Larry King,” Larry King Live, CNN, December 5, 2001. Transcript here. “Chairman Cox’s Statement on the Terrorist Attack on America,” Tuesday, September 11, 2001. The quote from his press release was picked up byAssociated Press the same day: Robert Burns, “Pentagon attack came minutes after Rumsfeld predicted: ‘There will be another event,’ ” The Topeka-Capitol Journal (Associated Press), September 11, 2001. William Langley, “Revealed: what really went on during Bush’s ‘missing hours,’ ”The Telegraph, December 16, 2001. For sound only see “9/11 News Oddities – Reporter Pre-Warned of Pentagon Attacks,” NBC News, September 11, 2001. For face-to-face footage of Mr. Miklaszewski, see video documentary by Massimo Mazzucco, “9/11— The New Pearl Harbor,” 1:15:22 to 1:16:18. “Pentagon Eyewitnesses’ Traffic Descriptions: Witnesses described heavy traffic conditions around the Pentagon,” n.d. [© 2003-2004]. “Arlington County After-Action Report on the Response to the September 11 Terrorist Attack on the Pentagon,” Titan Systems Corporation under contract to Dept. of Justice, n.d. , Annex A, p. A-22. “The Crime Scene Team [was] onsite 30 minutes after the attack. Special Agent John Adams began organizing the FBI Evidence Recovery Team on a grassy site.” p. C-45. Patrick Creed and Rick Newman, “Firefight: Inside the Battle to Save the Pentagon on 9/11,” Presidio Press, 2008, p. 80. Bill McKelway, “Three Months On, Tension Lingers Near the Pentagon,” Richmond Times-Dispatch, December 11, 2001. Bill Gertz and Rowan Scarborough, “Inside the Ring,” Washington Times, September 21, 2001.